The Southern Indiana Chapter of the American Guild of Organists - A GREAT group of SWELL people! 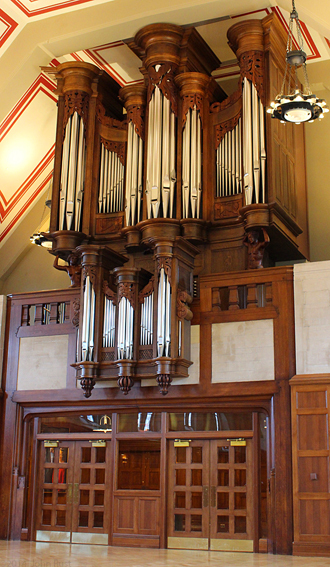 A photographic look and audio listen of the pipe organs of Southern Indiana. Calendar for Southern Indiana & surrounding area organ music events & concerts. A message from the Dean of the Southern Indiana Chapter of the American Guild of Organists. & information on Fall Retreat. A message from the David Lamb on the fall retreat..
Information on joining the Southern Indiana chapter of the American Guild of Organists. Previous SIAGO events, including photographs. for churches and organists in our area. Our sister chapter across the Ohio river....The Louisville, KY Chapter of American Guild of Organists website. 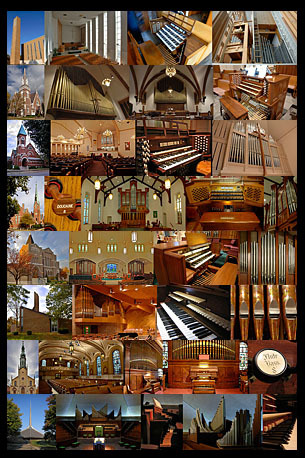 The Bloomington, IN (Indiana University) Chapter of the American Guild of Organists. Indianapolis Chapter of the American Guild of Organists. The National American Guild of Organists website. ©2014 SIAGO.org, All Rights Reserved. Recordings are copyright of the respective organist and as noted. These recordings are to demonstrate the organs and are not meant to be definitive performances of repertoire. Please contact the performer before attempting to download any recording. Performers may be reached through the webmaster. Photographs, artwork, soundfiles, mp3's, movies, and images that appear on this website that have been created by SIAGO.org. and are protected under copyright except as noted or where a source other than SIAGO.org is mentioned for other copyright holders. Images, photographs, artwork(s) or computer generated demonstration sound files on the SIAGO.org website may not used without the express written permission of SIAGO.org. The recordings are for demonstration purposes and may not be used without appropriate copyright permissions of the copyright owner(s).